Erin offers some tough relationship advice on Blue Bloods. "Handcuffs" is the ninth episode of the show's ninth season. 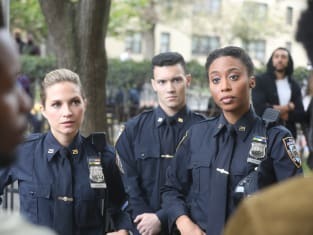 A group of people harassing some police officers turns into a case of shock and awe on Blue Bloods. "Handcuffs" is the ninth episode of the show's ninth season. 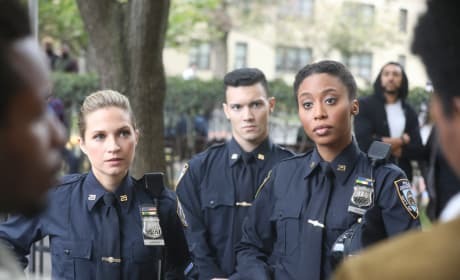 Is Nicky's new boyfriend using her to help his family on Blue Bloods? "Handcuffs" is the ninth episode of the show's ninth season. 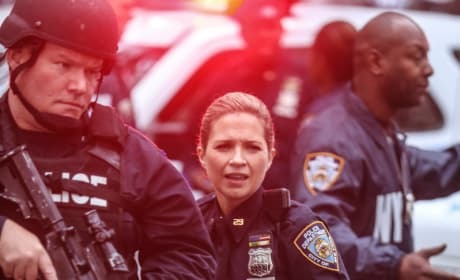 Eddie and her partner are harassed by a group of people at a housing complex on Blue Bloods. "Handcuffs" is the ninth episode of the show's ninth season. They wanted us to engage, begging us to take the bait. We felt the smartest move was to just ignore them. Jamie: The police run away with their tails between their legs it doesn’t look bad, it is bad. Eddie: I can see that but in the moment it felt like the right thing to do. Permalink: I can see that but in the moment it felt like the right thing to do.